All artists have their idols. For me that idol is Martin Scorsese. 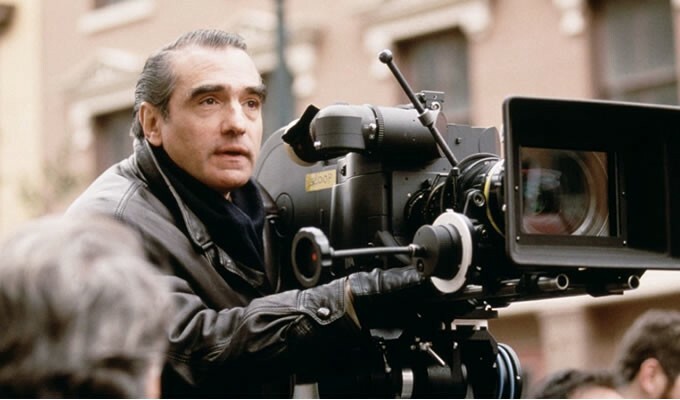 Despite a lifetime of major Hollywood successes, of late Scorsese has seemed to take on the role as the Patron Saint of Indie Filmmaking. The passion and playfulness that he brings to his craft oozes out of every frame he captures and makes his films true inspirations, rather than box-office products. Instead of aligning with the values of corporate Hollywood, Scorsese is quick to identify with the plight of indie filmmakers everywhere. The first words of his Master Class are, “If you are intrigued by movie making as a career, this isn’t the class for you. But if you need to make movies. If you feel like you can’t rest until you’ve told this particular story that you’re burning to tell, then I could be speaking to you.” Most recently he came to Darren Arronofsky’s defense when he penned a poignant op-ed against measuring the worth of a film by instant box office results and online user ratings saying "Good films by real filmmakers aren't made to be decoded, consumed or instantly comprehended. They're just made, because the person behind the camera had to make them." There are many films that cinephiles are very glad Scorsese felt he had to make. People point to Raging Bull, Taxi Driver and Goodfellas as his classic successes. Those films have their merits, but they aren’t the reason why Scorsese is my idol. No, what astonishes me is Scorsese’s tremendous commitment to growing in his craft as a filmmaker. When compared with his peers - Spielberg, Coppola and the like - no other film director has consistently improved their craft more so than Martin Scorsese. His golden age as a filmmaker has indeed turned out to be during in his golden years when others often retire or at the very least slow down. Spielberg has taken on the role of a producer so often that his directorial work during the past few decades is nothing compared to his brilliance in the 80’s and 90’s. Coppola has turned into an extreme arthouse director that appeals to few people other than his core fans. Scorsese on the other hand is directing work that is surpassing the classic work he built his reputation on. With such a wide array of subject matter, from The Aviator to Hugo, Shutter Island to Wolf of Wall Street, from last year's underrated Silence to my personal favorite The Departed, he’s been the man responsible for many of my favorite films in the past 15 years. So how can we indie filmmakers learn from our patron saint? During the past two decades while I’ve been learning, experimenting and honing my craft, I’ve seen many of my peers paralyzed by perfectionism. We all want our first film to be as good as Citizen Kane (Orson Welles first film), or American Beauty (Sam Mendes first film), so when we make a project that doesn’t live up to that standard it’s only natural that we want to put our film in a box in the corner and not show it to anyone lest we get revealed as a no-talent fraud. Believe me. You’re not a fraud, even if you feel like it at times. Just listen to Saint Scorsese of Hollywood to get the encouraging words you need. "If you don’t get physically ill seeing your first rough cut then something’s wrong." Artists usually aren’t the best judges of their own work. We’re highly critical and sometimes too close to our source material. So close that we can’t see clearly. Sometimes we fail to see the flaws in our work, but other times we see every frame as a flaw and decide to edit out naturally occurring brilliance. In order to turn our potential flops into successes we need to take the step back, stop clinging so tightly and get our work seen… even the imperfect work that we’re nervous to show. The first time I screen a project it’s always an interesting experience. You always can feel the energy from an audience and suddenly you’re outside your own body and experiencing your film through new eyes. You’re astounded that your confusing plot points are actually being understood and relieved when that subtle obscure joke actually lands a laugh. That scene you chose not to cut ended up ruining the pacing and you start to feel the tension building as you lose the interest of your audience. Often times the best audience feedback you can get is not from questionnaires, but simply by sitting next to them and watching their faces and feeling the energy in the room. Does that mean all films should be stamped with an audiences seal of approval prior to their release? Well that all depends on your goal as an artist. Art can be many things. Expressions of ones own narcissism, cleverly crafted propaganda, ones attempt to be understood, or what I think most films are… entertaining distractions from unpleasant realities. We writer/directors often build our identities around the art that we make, so when other people start coming in with ideas or criticism, it’s easy to feel that our vision is being infringed upon or misunderstood. So you have to ask yourself, why are you making this particular film and who are you making your film for? Artistic successes and commercial successes are oftentimes not one and the same. Francis Ford Coppola made many films that you know about - The Godfather films, Apocalypse Now - but did you know that his personal favorite was a little obscure film he did in the early 80’s called Rumble Fish? Likewise, Woody Allen’s Stardust Memories was a flop that broke his streak of back to back successes, and the audience found it to be flat out offensive because Woody seemed to hold his fans in contempt. Speaking of our patron saint, I was fortunate to meet Scorsese on one occasion where he told me that his personal favorite film of his own was Mean Streets, because it was a project that was truly his. When you watch Scorsese’s early short film The Big Shave, it’s inspirational. Not because it’s brilliant, but because it’s not much better than any student project ever made. So if the Patron Saint of Indie Filmmaking can start his career with something as simple as The Big Shave, then you have nothing to worry about. It’s important to remember than while natural talent exists, the only way to build upon your natural talent is to just keep going. Fail until you get it right. Create personal work, see what resonates, and move on rather than continually rewriting to please everyone. You can spend years making a mediocre project or you can spend the same amount of time creating several projects, each one slightly better than the previous. Moral of the story. In the words of Nike that were so frighteningly reiterated by Shia LeBouf, “Just Do It”. You’re going to make mistakes. It’s going to happen. There’s always going to be something that you wish you would’ve done differently/better. But what surprises me, is that even some of my most flawed work still resonates with an audience. And likewise, some of my most polished work hasn’t resonated.